Having afternoon tea is very much a British thing to do. Granted we may not always sit down to tea and scones every afternoon, but given half the chance then we probably would. 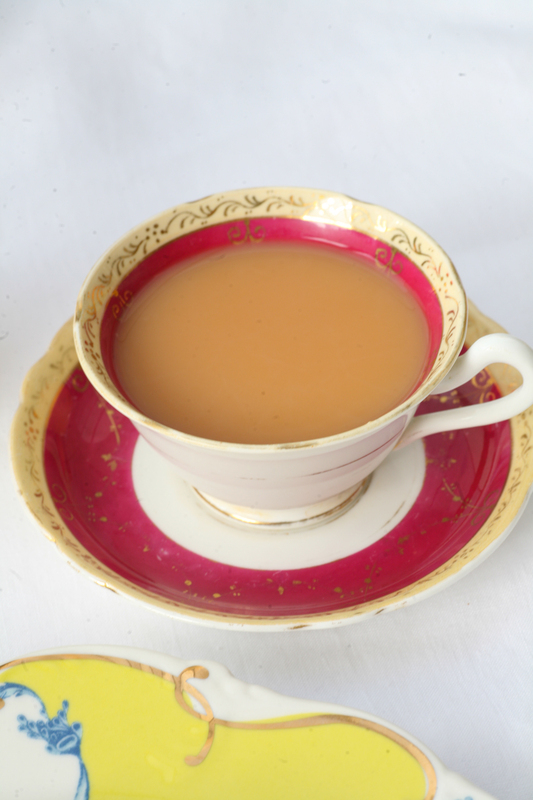 Copious amounts of tea is drunk throughout the day, but at tea time – around the hour of 4pm, a little sweet treat or savoury dainty might make an appearance if you are lucky. It wasn’t always the case. In fact it was Charles II wife, Catherine of Braganza from Portugal, who started the trend of tea drinking in the seventeenth century. From the English royal court it spread to London’s coffee houses and from there into the homes where civilised tea parties would take place. If you want a no fuss cake that is easy to whip up, moist and produces delicious baking smells when cooking then look no further. 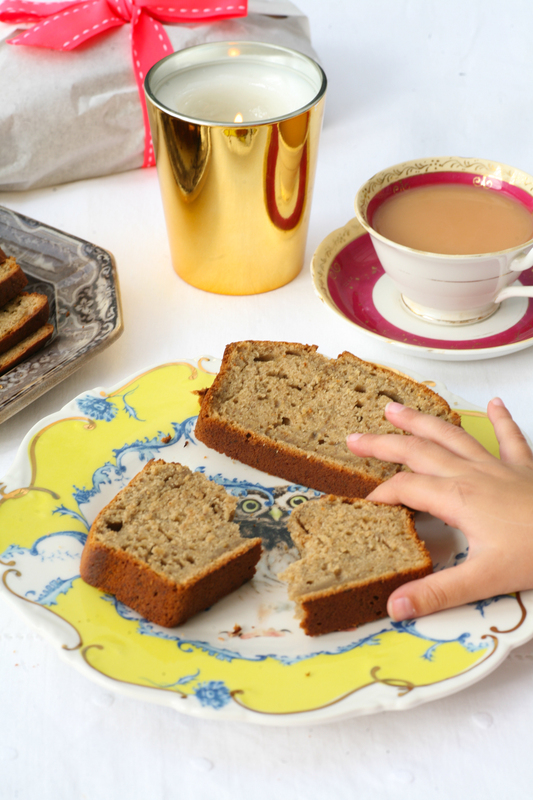 This banana, cinnamon and nutmeg loaf won’t win prizes for appearance in ‘The Great British Bake Off’ but what it lacks in appearance it makes up for in taste. 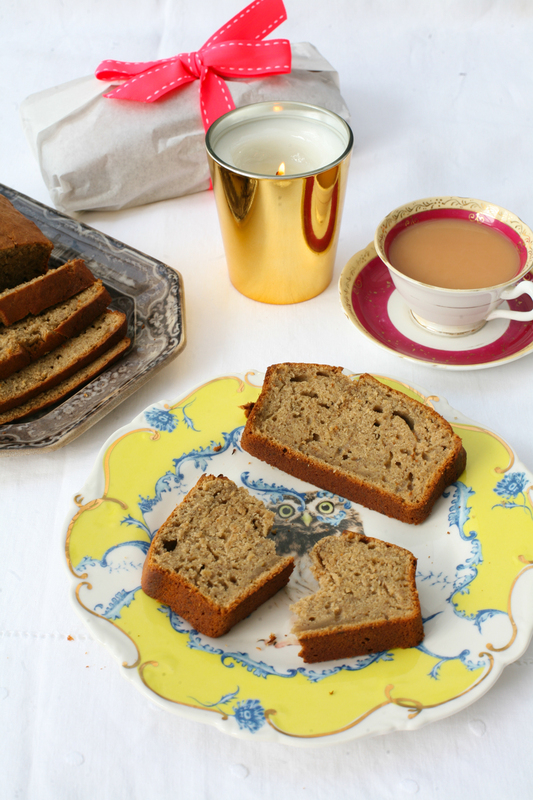 So put on the kettle, pour yourself a cup of tea in your favourite fine bone china teacup and sit back and relax with a slice or two of this moist banana, cinnamon and nutmeg loaf. 2. In a large bowl mix the eggs, butter (which has been at room temperature) and sugar together and when it is smooth add the mashed banana, cinnamon, nutmeg and flour. Stir in throughly. I use a hand whisk but arm power works equally well if you do not have one. 3. Grease your non-stick loaf tin. 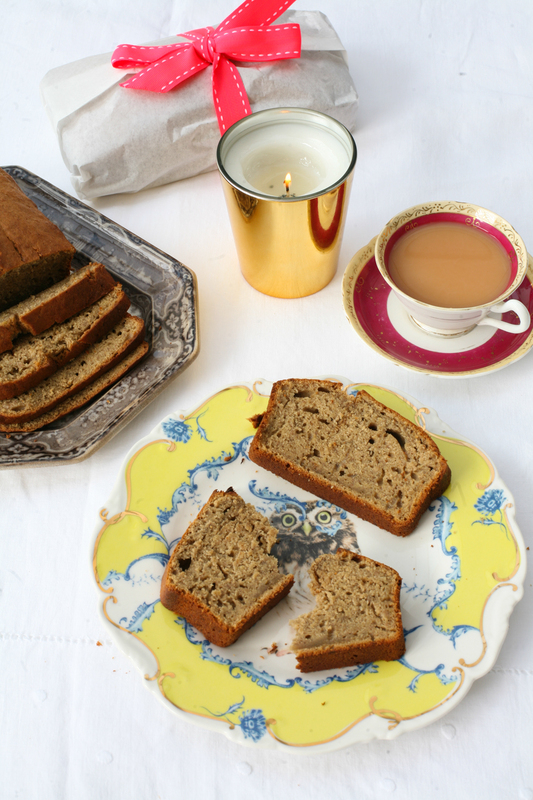 I don’t tend to line my tin as I find that the loaf easily comes out of the tin when cooked. 4. Place in the oven for 45 minutes. It is done when you place a sharp knife into the centre of the cake and it comes out clean. 5. Place on a rack to cool slightly. It is lovely to serve warm but equally lasts well for a few days. 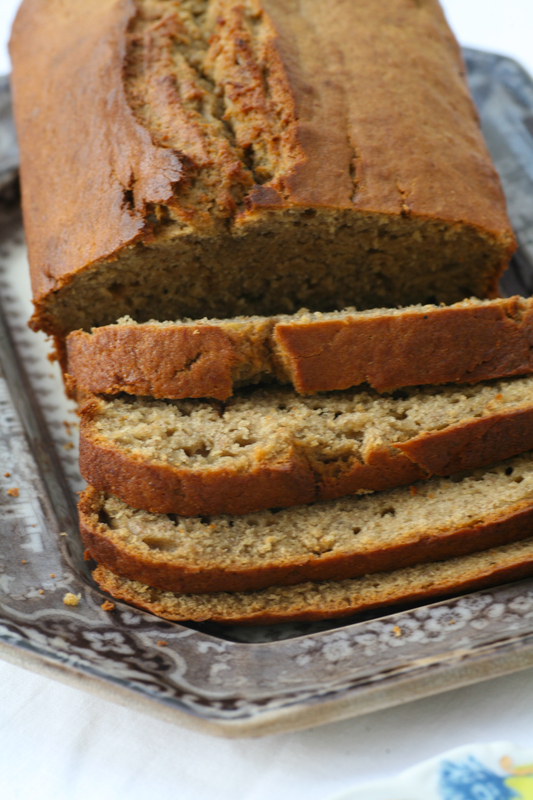 This entry was posted in Cakes and tagged banana loaf, cake, cinnamon, nutmeg, tea, tea time. Bookmark the permalink. This sounds amazing! I’m going to try this recipe this weekend.